We are proud to support DDOT during Cherry Blossom season with the promotion encouraging visitors to take public transit to the blossoms. This is run in conjunction with the DC Circulator “Blossom Bus” (which we also support). Both campaigns feature electric vehicles this year. 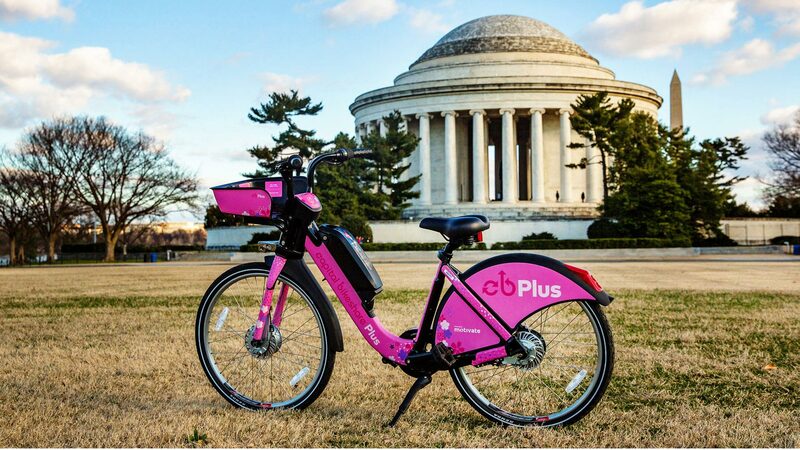 This Capital Bikeshare “Bike in Bloom” campaign included the design for the bike wrap and marketing materials, campaign marketing strategy and implementation. A social media game featuring two wrapped bikes encouraged members of the community to find the Bike and Bloom and post photos to social media. This effort has been very successful over the past few years. Participants have a lot of fun seeking out the bike and the game has resulted in a lot of positive social media activity.